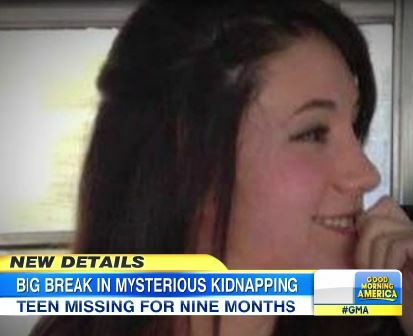 Dan weighed in on the latest details regarding the kidnapping of New Hampshire teen, Abby Hernandez. Hernandez had been missing for 9 months before being reunited with her family and police have arrested a suspect on kidnapping charges, 34-year-old, Nathaniel Kibby. Prosecutors allege he confined the teen with the purpose of committing an offense against her. As of today, police are still not revealing the details of the alleged kidnapping or how Abigail Hernandez came to be reunited with her family. Says Dan, “Under the law in New Hampshire, if he knowingly took away, enticed away, even concealed a child under the age of 18 who he’s not related to…that would be the crime of kidnapping…If, and it’s a big if, if he brought her back in a safe place and — and this is the biggest if — there wasn’t serious bodily injury, if that were the case… you could be talking about, under New Hampshire law, taking it from a class a felony which would be 7 1/2 – 15 years to a class B felony of 3 1/2 – 7 years. So the law is specifically designed to entice someone, who engages in a kidnapping, to return someone safely to their home. Again, we don’t know and based on the condition she’s in, I think there would be a real question as to whether there was no serious bodily injury.” Watch the full clip here.